Join SNUC Foundation, Inc. at on Saturday, June 15, 2019, at 7:30 a.m. There are three route options from which to choose plus a choose your route option and three scenic routes through the back country roads of Brooksville, Florida. All rides depart and return to Evom Lounge, 14251 Powell Road. Join us after the ride for a light lunch. Sponsoring Two Events on September 14! 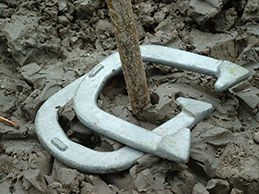 To kick off the SNUC Busters event, there will be a 50/50 horseshoe competition at 3 p.m. at the Sparacia Witherell Family Winery & Vineyards, 21509 Snow Hill Road, Brooksville, FL 34601. The entry fee is $10, with the winner taking 1/2 of the pot, with the other half being donated to the SNUC Foundation, Inc. to help pay for much needed research to find a cure. Calling all Runners! 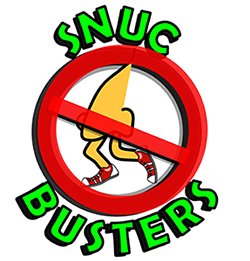 Come join our first annual SNUC Busters 5K and 10K Run. Starting at 5:30 p.m. from and returning to Sparacia Witherell Family Winery & Vineyards, 21509 Snow Hill Road, Brooksville, FL 34601. Please join us after the run — first beverage is on us! When you shop at smile.amazon.com, you’ll find the same low prices, vast selection, and convenient shopping experience as Amazon.com, with the added bonus that Amazon will donate a portion of the purchase price to the SNUC Foundation. We are seeking donations to help fund research into a cure for Invasive Sinonasal Undifferentiated Carcinoma. 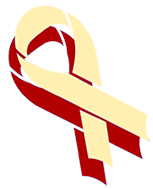 SNUC is an uncommon and highly aggressive form of cancer. Your contributions are needed for research into this rare and little understood form of tumor. You may contribute through direct deposit to the SNUC Foundation, Inc. at BB&T or through PayPal .